It could be embarrassing blogging about toilet paper. But the new Costco Kirkland Signature Ultra Soft toilet paper is worth it. The new paper is embossed with a flower that looks something like a stylized cherry blossom and is more expensive per sheet than other Kirkland toilet paper. I paid $14.99 for the pack. But the difference between the new paper and the old paper is as great as the difference between standard motel bath towels and four-star hotel towels. 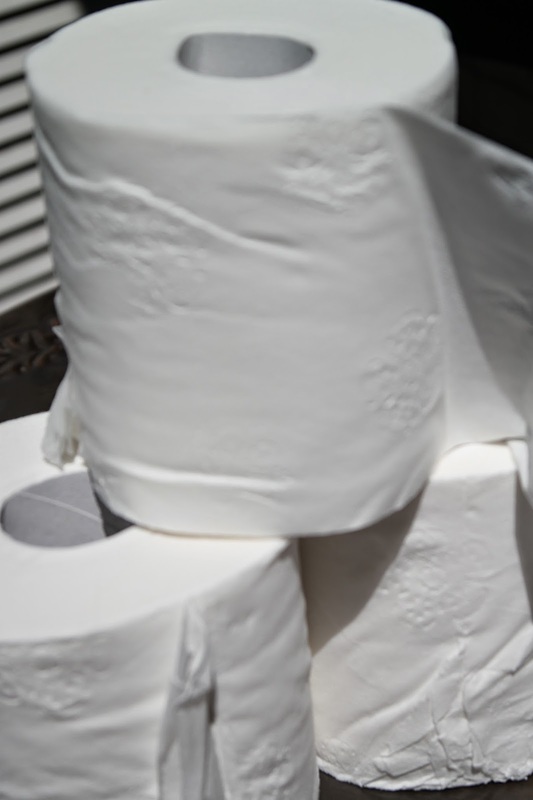 I like the regular Costco toilet paper and have no problems with it, but the new Ultra Soft would be the type of toilet paper you could imagine making into a wedding dress I know the toilet paper wedding dress contest is sponsored by Charmin, but this Kirkland Ultra Soft paper almost feels like cloth rather than paper. My advice: If you have to make a wedding dress out of toilet paper, use Kirkland Signature Ultra Soft. And if small luxuries, that cost almost nothing more than the regular product, can make your day better, I say go for it. Pun intended.